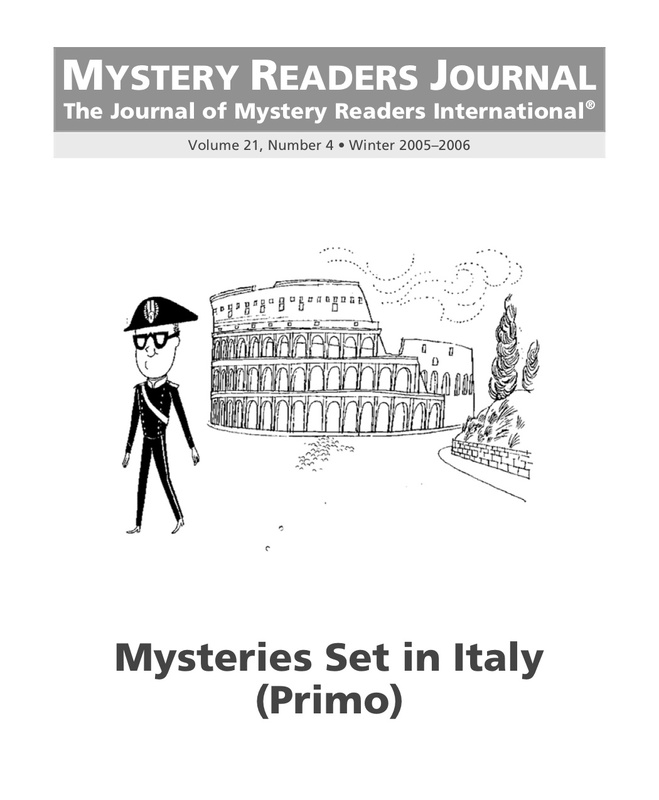 Mystery Readers Journal: Mysteries Set in Italy I (Volume 21:4) is now available as a .pdf. We still have hardcopy available, but it's so easy to click and download. To order this issue, go HERE. Mystery Readers Journal is a quarterly review with articles, reviews and Author! Author! essays. Here's an Author! Author! essay by Donna Leon from this issue (2005). 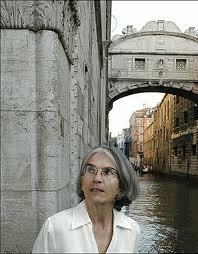 Donna Leon's latest Commissario Brunetti mystery is Drawing Conclusions (Grove/Atlantic). 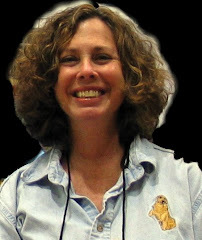 She is the winner of the CWA Silver Dagger award. Don't miss her latest non-fiction book, Handel's Bestiary: In Search of Animals in Handel's Operas (Grove/Atlantic); illustrated by Michael Sowa. Leon, is the patron of conductor Alan Curtis and his celebrated orchestra Il Complesso Barocco. I first came to Italy in 1967, escaping from both graduate school and a copywriting job in New York. My family is the usual American mixture: Irish, German, Spanish: no Italian. I arrived speaking only the words and phrases I'd picked on the sea crossing, though once I arrived in Naples and then went on to Rome, I quickly realized that these were people I wanted to listen to and wanted to talk to. And as time passed, wanted to live among. That took fifteen years to happen, for I kept taking jobs in odd places: Iran, China, Saudi Arabia. Finally, in 1981, after a terrible year in Saudi Arabia, I decided to move to Venice where I had, over the course of years, managed to acquire friends at the level of family. Thus my move was motivated by sentiment, not the rich cultural heritage of the city. The people I'd come to love lived there, and so there was no other choice. After some months, I found a job teaching English literature for the University of Maryland, which had the contract for university education for the US Armed Forces in Europe. And so I whiled away fifteen years talking to our boys in blue about the changing moral order in the universe of Jane Austen's novels or the unreliable narrator in 20th-century fiction. They might perhaps have resisted Jane Austen, my students, but they knew a lot about changing moral orders, and they'd certainly encountered a large number of unreliable narrators. In 1989, I had a conversation with the Italian conductor Gabriele Ferro, in which he and his wife talked badly about another conductor. There followed an "escalation," during which we discussed ways to kill him, and it occurred to me that it would be an interesting opening for a crime novel, to find a conductor dead in the dressing room where we were having the conversation. Fifteen years later, I find myself still writing about the man who went to investigate that original crime, Guido Brunetti. He's Venetian, in middle age, married to a university professor, with whom he has two children, Raffaele and Chiara, both in their teens. He's a thoughtful man, much given to reading and reflection. His preferred authors are the ancient historians, for he feels great sympathy with their lack of illusion about humanity, politics, and society. Because his family has been Venetian for centuries and because he has lived in the city for most of his life, he has access to information that might prove difficult for a non-Venetian to obtain. Because he has a certain gentility and ease with people, they are prone to talk to him and often reveal more than they realize. He is happily married, a man still in love with a wife who is strong-willed, politically disillusioned and cynical, suspicious of most organizations and theories, and given to verbal excess. Together, they are cultured Europeans, as at home discussing literature or history as they are assuming that life should be beautiful and filled with physical pleasure. The cases in which Brunetti is involved often take him beyond the single murder or crime and lead him to investigate larger problems: industrial pollution, the traffic in women, the sale of nuclear material, illegal immigration. Other times, he concerns himself with crimes of a more local nature: murder, theft, blackmail. Through all these cases, he continues to lead his life, find pleasure in family friends and food, and consolation in books and conversation. He has few illusions and realizes that the powerful will usually triumph, the weak suffer. 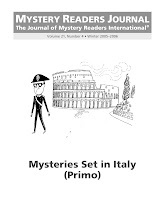 To read other articles or to order this issue of Mystery Readers Journal, go HERE. Love Donna Leon's books; my life is on hold when each one is gotten out of the library, until the last page is turned. One aspect which I like about the books is that the culprits are usually rich, powerful, highly connected--and they rarely are arrested, and certainly don't go to jail. This is probably a true reflection of Italy to a large degree. In my U.S. city, few wealthy or political figures go to jail for crimes which would have mere mortals serving sentences. So, even though U.S. readers may cry out for justice for the culprits, Leon's books certainly say a lot about this lack of justice many times. And, the other thing is, I'm always starving and craving good Italian food when I read about Guido Brunetti and Paola Brunetti eating sumptuous meals, or Guido going to a trattoria for coffee and a pastry.